The NBO Scout Training Team is a chartered Texas not-for-profit corporation dedicated to providing American Red Cross training for registered Boy Scouts, Venturers, Explorers, Girl Scouts, American Heritage Girls and their adult leaders. 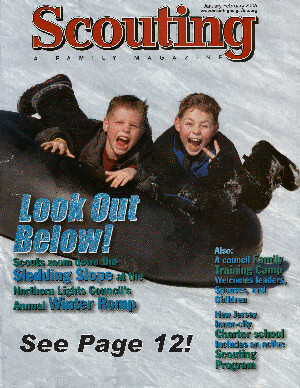 The program began as "in-house" merit badge training for the members of Boy Scout Troop 777 in the Woodlands, Texas. Soon, the Troop was providing training for several area Scout Units. An aggressive program was required to train instructors to fill the need for larger and more frequent classes. Canoeing and then Kayaking classes were added and then a full aquatic program including Lifeguarding and Small Craft Safety. 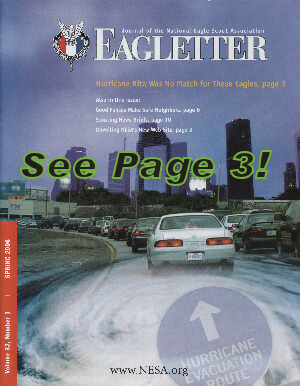 Emergency Response was added for our older youth members in 1997. The Team, which began in 1990 with the then ambitious goal of teaching 30 Scouts basic CPR skills each year, now trains over 1200 WEBELOS, Boy Scouts, Girl Scouts and adult Scouters annually. Our all-volunteer staff consists of authorized American Red Cross instructors both youth and adult. 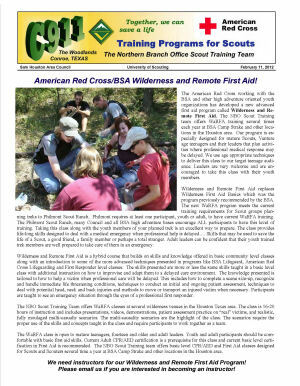 Our adult members provide American Red Cross Health and Safety Training programs to Scouts and Scouters. Our coed "BAT" Basic Aid Training instructor program, whcic began as an Eagle project, has many active teenage instructors providing Readyman training and beginning first aid skills instruction to 4th and 5th grade boys and girls. Our EMR trained youth staff Red Cross sponsored First Aid Stations. Our instructors are also active Scouts or Scouters. The Team is operated by a dedicated group of adult leaders representing Scouting Units from all over The Sam Houston Area Council. We enjoy a close working relationship with the American Red Cross, Greater Houston Area Chapter, The ARC Northern Branch Office and the Boy Scouts of America, Sam Houston Area Council. This relationship along with a very large investment in equipment and training materials helps us provide a quality program to our Scouts and the community. What do we do?... We Train Scouts... and lots of them! Scouting is a game.... and we do know how to play! 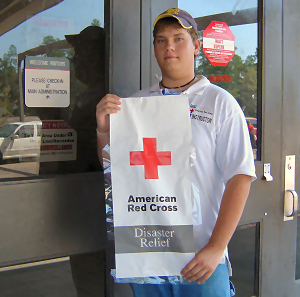 Our American Red Cross programs are available to all registered Scouts and Scouters... Girl Scouts, American Heritage Girls, Civil Air Patrol, Royal Ranges and other approved youth groups and their adult leaders are always welcome too. We also support the training efforts of the ARC Greater Houston Area Chapter in providing training to our community. Our youth instructors provide a unique program for our WEBELOS.... The young soon to be Boy Scouts learn basic first aid from our "older" Star, Life and Eagle Scouts... The instructors are learning leadership skills too... Everyone is having fun. 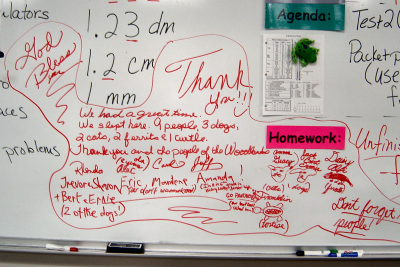 Adult supervision is always present but the teenagers really do run the class! The Team offers an advanced First Responder training class each January especially for our older Scouts. The program is based on the American Red Cross Emergency Medical Response course and includes advanced CPR and First Aid skills, preventing disease transmission, spinal injury management, extracting victims from unusual positions, emergency childbirth, oxygen administration, blood pressure and vital signs monitoring plus use of automated external defibrillator equipment. American Red Cross Lifeguarding is taught in conjunction with this class too. Over 90 hours of instruction and practice are required to complete this special program... It is hard work but the instructors make if fun too! This training sure looks good on a summer job resume. 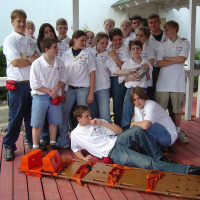 Youth and adult team members with appropriate training, staff American Red Cross First Aid Stations... Team leaders are often our teenagers who have completed the advanced training class. The Northern Branch Office Scout Training Team provides primary First Aid coverage for the annual Council Scout Fair and other council events. Crew-911 supports the ARC annual Texas Lifeguarding Competition. We will gladly help other American Red Cross or Scout groups start a training program... just ask! When things get tough in The Woodlands, Texas we can always count on the support of or friends and neighbors to help out... whether those who are in need are members of our community or total strangers just passing through... Our community once again rose to the challenge by opening over 30 shelters in our area. The Advisor and Assistant Advisors of BSA Crew-911 were at various times, the American Red Cross Shelter Manager, Assistant Shelter Manager and Volunteer Coordinators for the McCullough Junior High School Hurricane Rita Shelter in The Woodlands. With the assistance of our neighbors and especially our Scouts and Scouters, we helped provide comfort and assistance for many new friends who, not by their choice, were stranded at our shelter. What began as a trickle Thursday afternoon soon became a flood of stranded families who were out of gas and now with no place to stay. What a dilemma... Families faced with the situation where they could not go back to their homes and no gas to get on North to the prepared safe havens! Our shelter was soon filled to well over the intended capacity... as were the other area shelters. The primary American Red Cross resources from our area were already fully deployed, as was planned, at the designated shelters from Huntsville on North toward Dallas. We were not anticipating nor were we fully prepared to open shelters in South Montgomery County. We had the challenge to open shelters here with very limited available resources and very few trained volunteers. I am sure it comes as no surprise to anyone that for our shelter, our first call for volunteers and resources was to our Scouting community... Crew-911 responded immediately and we soon had assembled a core group of mature Scouts ready to get the shelter operational.... A task we have performed twice before at this facility and something Crew-911 is actually very good at! We were expecting to open up and then assist the ARC trained shelter operators as we had done in the past... usually then taking responsibility for just the kitchen and then only for the first 48 hours.... BUT this time it was going to be very different!... The word was that we were now on our own!... no additional resources were going to be available to us... at least not any time soon! Our Crew-911 teenage First Responders provided initial medical support and with a lot of help from their friends in area Scout units and our OA Brothers, got the shelter open and the kitchen in operation.... We got kicked off about 2:00 PM on Thursday with a core group of mature teenagers and a very few adult Scouters... By 6:00 PM the guys and girls were feeding a really great hot meal to the well over 200 victims already in our shelter... a number that later grew to over 500. When we closed Sunday morning at 10:00 AM, we had served over 2,000 meals and helped nearly 600 senior citizens, men and women, boys and girls, kids and babies.... plus numerous dogs and cats, two ferrets, an exotic bird and one turtle get through an ordeal that will not soon be forgotten. Obviously, the Scouts did not do it all!... far from it. BUT they did play an essential role in operating an extremely efficient shelter. The local school administration along with their security and custodial staff... plus numerous community leaders made invaluable contributions too. Without their efforts, it would not have worked out nearly as well.... Members of the American Red Cross National Disaster Relief Team were essential too.... It was truly a team effort of which the Boy Scouts our adult leaders and our Venturers were an essential component. Without our dedicated volunteers, and the generosity of our community, meeting this need would have been extremely difficult. The American Red Cross is the largest volunteer organization in the country.... The Boy Scouts of America is the second largest.... It is amazing what these two organizations can do together! Never under estimate what a group of Scouts and Venturers can accomplish... Their will be no good way to thank everyone individually who helped..... Or to even begin to acknowledge all the known acts of kindness that were unselfishly provided over the last four days... You did not see us on the 6:00 PM News BUT we were there!. A very special and sincere thanks to our Scouting Community for the vital role our Scouts and Scouters played.... Thanks guys!